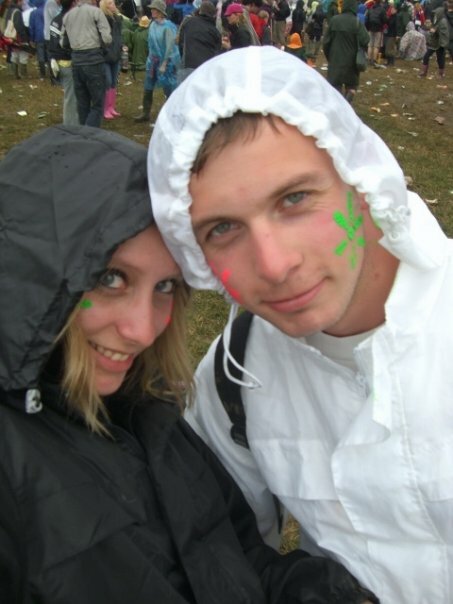 Pre-Ted I was an avid festival goer, with Glastonbury being my main squeeze to look forward to in the summer. Drinking cider in the (sometimes) sun, dancing til the early hours and doing all the other things a young, child free person does over a boozy long weekend. 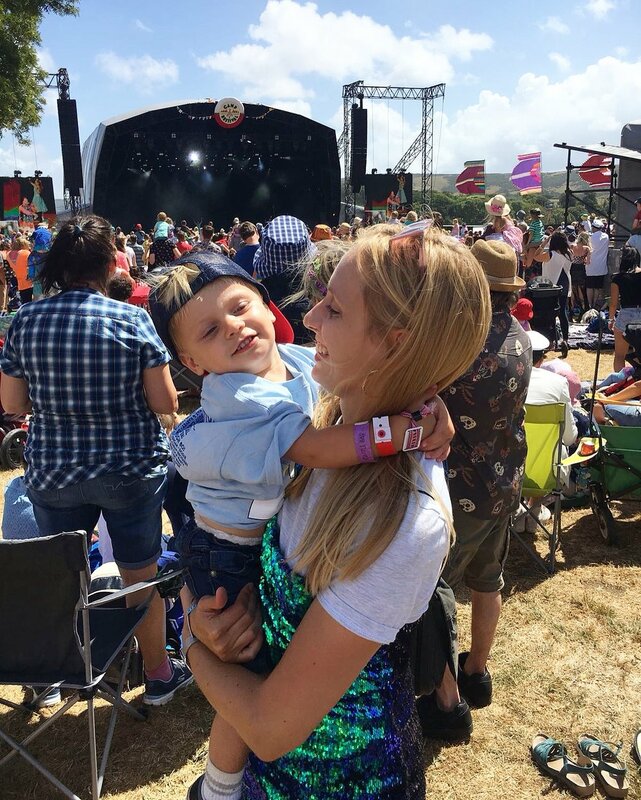 Even after Ted was born, in the summer of 2017, we took a couple of days off from baby duties and sent Ted off to his country spa retreat (Grandma’s house with a paddling pool) and went to Bestival for four fun packed days with friends. 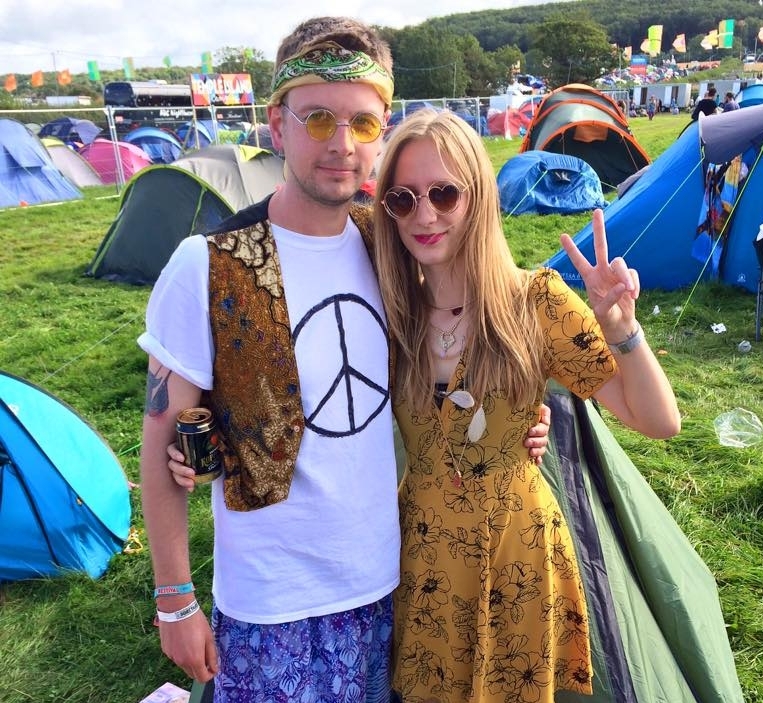 Bestival 2015 and Glastonbury 2008 (this photo was taken on an ACTUAL CAMERA hence the awful quality). But a festival, with Ted? My initial reaction to taking Ted to a festival that included camping overnight was a definite HELL NO. As a person and a Mama who loves routine, thrives on knowing what’s coming next and has the more-than-occasional bout of anxiety, the thought of taking Ted and I out of our comfort zone was a massive cause of stress. But like most things in life, you sometimes get an epiphany and a ‘what the hell? !’ moment and suddenly come to your senses. This happened to me when I was watching Good Morning Britain (yes) and Richard Branson (stay with me) was talking about all the amazing things he’s done with his life and the adventures he's been on (I’m power phrasing but you get the gist). Basically, he was saying there’s so much fun and good opportunities going on in the world that you just have to take them and just bloody well enjoy it. Well, that stopped me dead in my tracks. Richard was right! I had this amazing opportunity to take my favourite person in the world to an amazing place. The things he would see, the music he would hear and the fun he would have. Why would I NOT want to go? After that, it was decided. I rang the George (the hubby) and told him it was a HELL YEAH and we got our butts in gear (coz packing for a festival with a child takes tiiiiime). 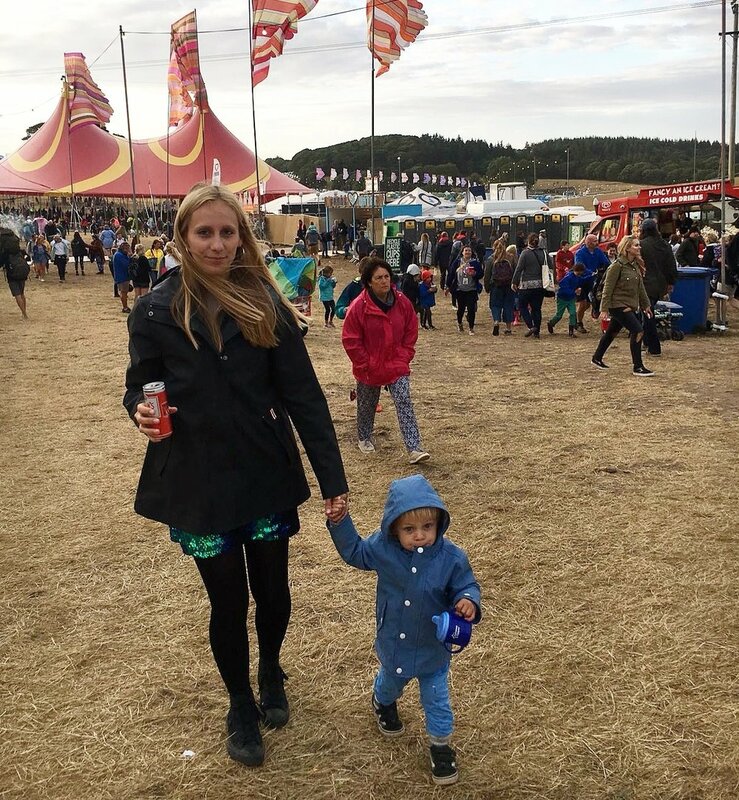 I've put together a lil list of points that I hope will help if you’re thinking of taking your little ones camping or to a festival. In my opinion, the bigger the better (tent, of course). That extra room is a luxury and as mentioned above there’s a lot of stuff to take with you. Also, if the weather's a bit rubbish you’ll probably find that you’ll be holed up in said tent more that you’d like to be. So the more room the better imo. Our tent was in no way massive (some crews at Camp Bestival had epic family tents), but we could stand up in it. It had a central main area, then two pods either side that could be used for bedrooms. It was great to have the space to put all our personal bits like bags/clothes etc then the main space for the buggy and cool box. We ended up all sleeping in the one bedroom as we’re cute like that (and it was cold). A blow up mattress gives you a comfy place to sleep (mega important) and it also puts a barrier between you and the ground, which even in summer, gets real cold in the middle of the night. I bought a fitted sheet to go on top of the air mattress as I hate the feel of that flocked material they always cover them with and it makes it feel more cosy. Also, and this a big bonus, when setting up at the campsite blow the air mattress up first. Ted and his cousin used it to bounce/play on and it kept them entertained for ages. Just make sure you bring some gaffa tape incase they pop it. Ok, so I’m going to admit how much fun I had putting together an activity bag for Ted. It was just so cute. 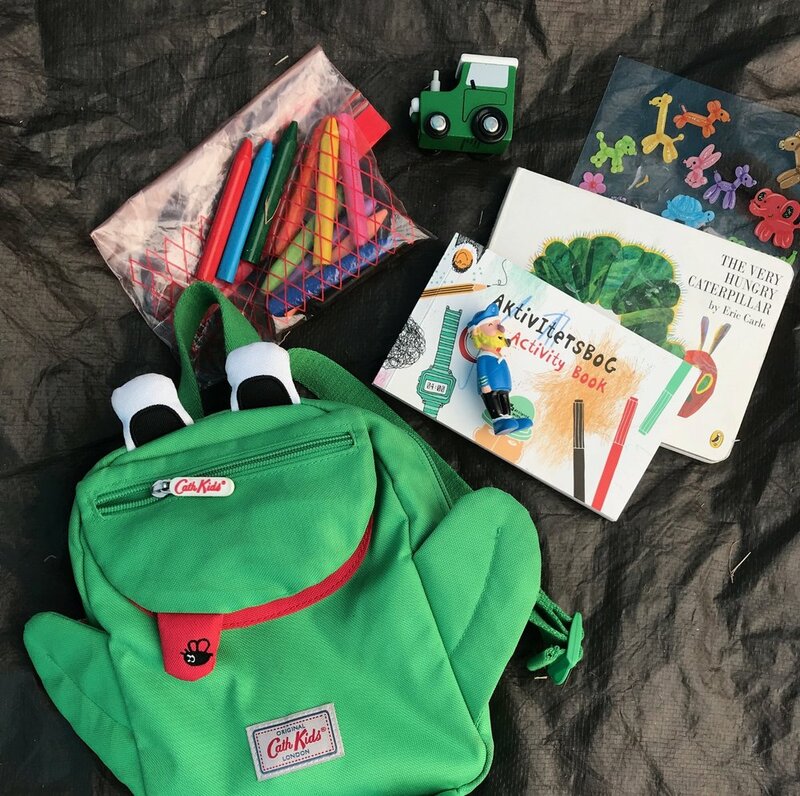 I filled his mini back pack with some stuff that I knew he'd love (a colouring book, new crayons and stickers), brought some new little toys from Tiger (a squishy slime ball and a fisherman toy) then added in a couple of his fav little cars and small books. This bag saved us BIG TIME when setting up our tent and also in those early mornings when I was slightly hungover from too many cans of Pimms. Tiger has a great selection of colouring books and small toys for as little as £2, as does Wilkinson (Ted’s crayons were a bargain at £1 for a pack of 10). I think this one depends on how old your child is, but for us our buggy was an essential piece of kit to take. Ted still has a nap in the middle of the day, so the buggy meant that we didn’t have to walk back to the tent and attempt to get him to nap there (would never happen). Having a buggy also means you can dump a whole load of stuff underneath (and hide booze). At Camp Bestival the main source of transport for older kids was wagons. Some families proper decked them out with make shift roofs, blankets and fairy lights to make them cosy and they looked ah-mazing. 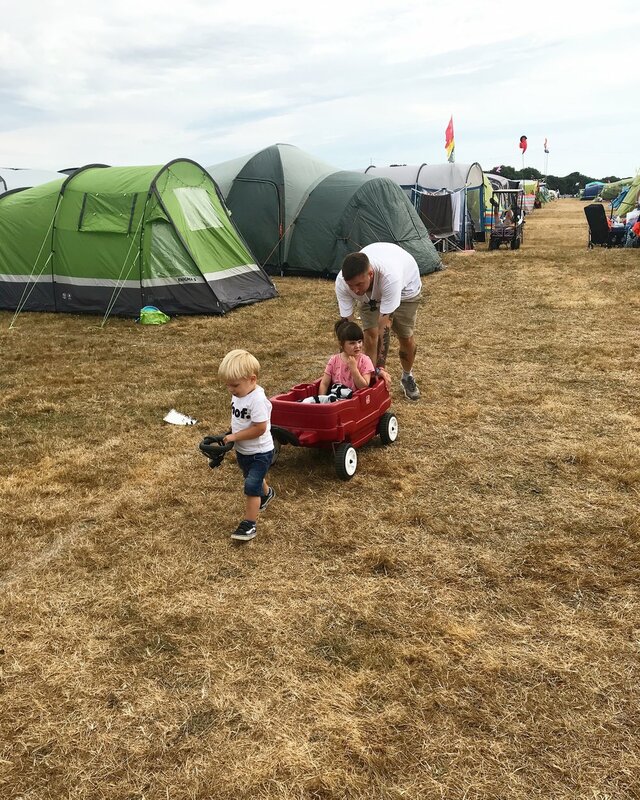 Ted’s still a bit young to appreciate the wagon and definitely still needs a mode of transport where he can be strapped in, but if you've got an older kid or one that listens to you, then a wagon would be a good idea (you can also hide booze in it). We were really lucky with the weather, apart from the mega winds at the end of the weekend, so our buggy (Bugaboo Cameleon) handled the terrain like a boss. We bought off road wheels in the event of rain, and they came in handy when the weather turned on Sunday when we were packing up. I know some parents are against screen time, but for me that little iPhone was like a knight in shining armour. I was going to write a couple of examples of how that iPhone beauty saved us, but I think the video below explains it all. 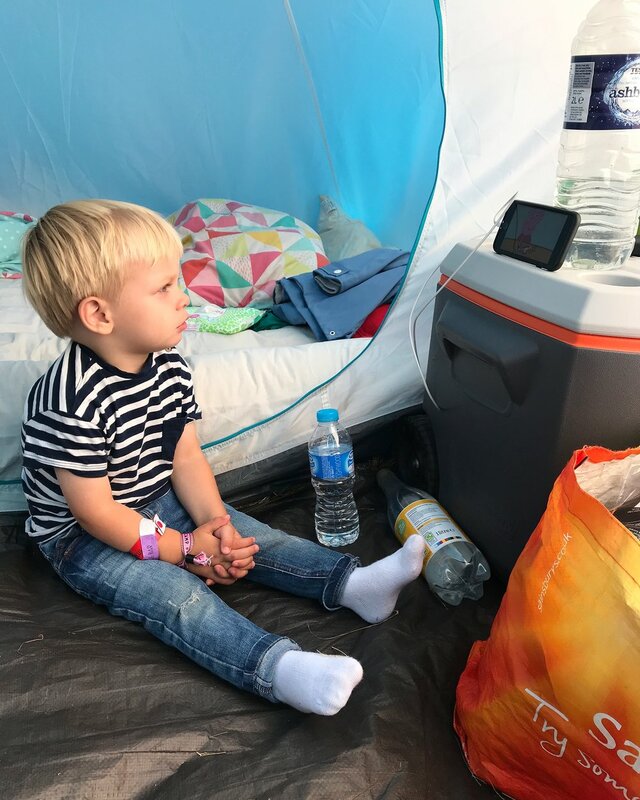 After a busy day at the festival it was nice (and essential) for Ted to have a bit of down time in the tent and just sit still and watch something. A festival can be overwhelming for kids. There’s so much to see and do, and a whole load of sugar to eat. A half an hour or so watching some cartoons meant that Ted had time to chill out and just be calm. We bought a portable charger from Amazon and it lasted the whole festival. We charged our phones twice each and came home with battery to spare. When away with children I think it's essential to be able to make a call or receive a call at any time. Plus, being able to take as many photos as you want AND have the option of some You Tube down time is a massive bonus. I'm not trying to sell t-shirts here (ok, well I am but not in this post..) but literally take as many snacks as you can carry. Ted was ravenous the whole weekend, and although we obviously fed him proper meals, it was so much easier having snacks to give him when he decided he wanted to "eat, eat!" rather than find somewhere to buy food and queue up. They're running around like little wildlings all day and the whole eating routine is messed up, so really, take those Babybells and individually wrapped bars of Soreen and just give them to them when needed. In order to fully enjoy the festival and have the least amount of time dedicated to stress prior to it, I decided to not go crazy over the fancy dress. The theme for Camp Bestival this year was nautical, which meant a striped tee and a captain hat for Ted and a sequin dress (not at all nautical, but ya know) for me. Fancy dress is super fun, and when Ted's older I'm going to fully embrace it. But, for this year I chose to be relaxed, simple and just go with the flow. So, did we enjoy it? BUT, we had the best time. That stuff’s going to happen anyway, regardless of where you are. They’re kids! What surprised me the most is how well Ted adapted to everything. He was completely fine with all the things I had worried about. When he woke up that first morning, he wasn’t spun out or upset. He was fine. He was fine because Mama and Dada was there. That’s all he needed. He ate like a champ. I bought all the snacks with us (that he devoured) but he also ate all the food we ate. He had risotto balls, a jack fruit burger, a burrito. He also ate a lot of chips and A LOT of ice cream, but that’s okay. He went to sleep. He was so knackered that he napped in his buggy during the day, then passed out in the buggy at night. And one of the best parts? Having that stinky little ice cream covered tiny boy give me cuddles all through the night. As emo as it sounds l looked forward to having those night time cuddles. It’s something that I’ll remember forever. So, if you’re thinking of doing it, go for it. Whether it be camping or a festival or both, go for it! As soon as I realised that it wouldn’t be perfect, that I couldn’t make it perfect it became a lot easier to enjoy. At the time, packing up our tent in 40mph winds with Ted strapped into his buggy watching Peppa Pig, was hella stressful. But looking back on it, it’s just pretty hilarious. Ted giving me a massive cuddle, in the sunshine while watching Mr Tumble with his little face smiling at me. George and me high fiving when Ted dropped off to sleep, so we could go eat potato wedges, drink Pimms and watch Clean Bandit. Ted waking up in morning, happy. Shouting “Mama! Dada!” and jumping all over us. Those are the memories that I’ll treasure, that we’ll laugh about, that we’ll tell to family and friends over and over. Those are the memories that we’ll Ted about when he’s older, when he’s off to his first festival with his own friends. We’ll remind him of how we had to pull over on the drive to the site as he'd done a massive puke, how his Uncle Joe gave him a lift in a golf buggy to the campsite and of how many times we mega belly laughed over the smallest and silliest of things. Cheers to our first festival toddler Ted, I'm looking forward to the next one already. P.S I've just realised how long this post is, so well done and thank you if you've got this far.